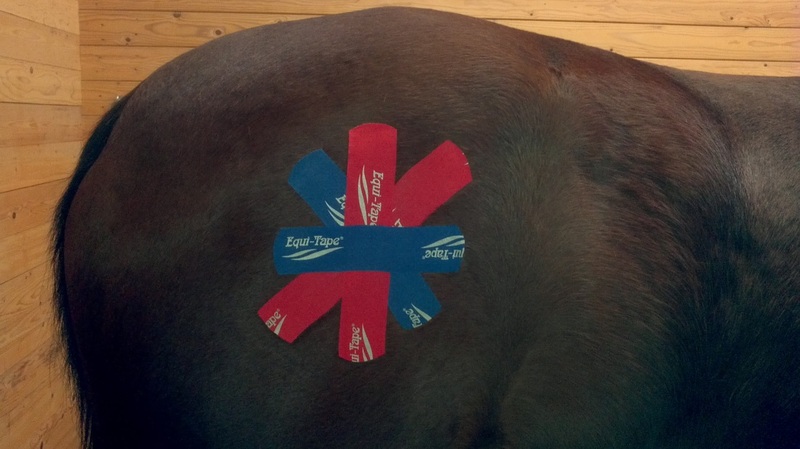 What is Elastic Kinesiology Taping? 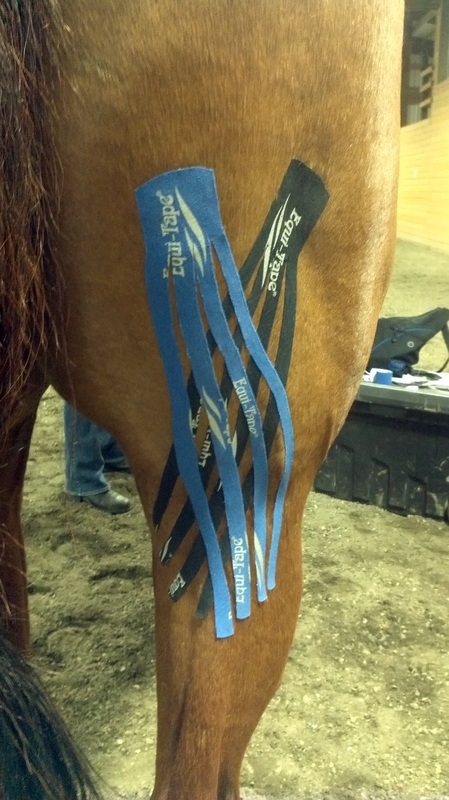 Kinesiology taping is a taping technique designed for use in both therapeutic (injury rehabilitation) and working athletic situations. 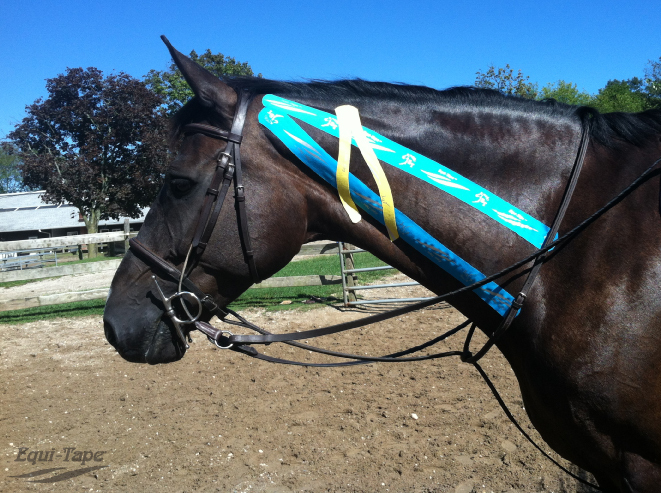 Kinesiology tape has been successfully used on humans for over 25 years. It gained significant popularity during the 2012 Summer Olympics. As seen on TV, many elite athletes use kinesiology tape such as Kerri Walsh, Venus Williams, Usain Bolt and Michael Johnson just to name a few. 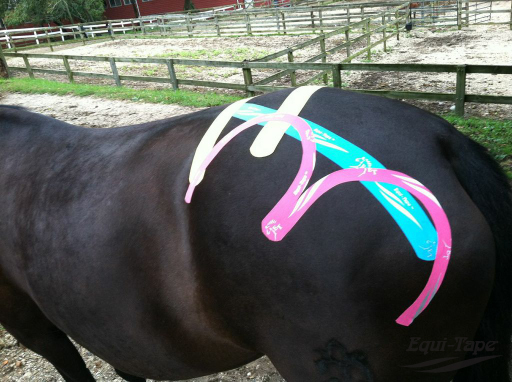 During the last few years, the adhesive and taping techniques and patterns have been modified for use in the equine and animal world. 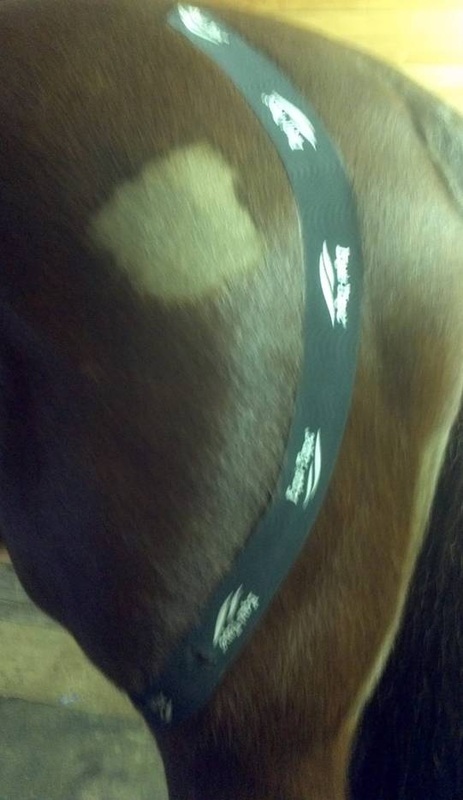 Just as human athletes can wear the tape when training for their sport, horses can also be ridden with the tape on when they are working. 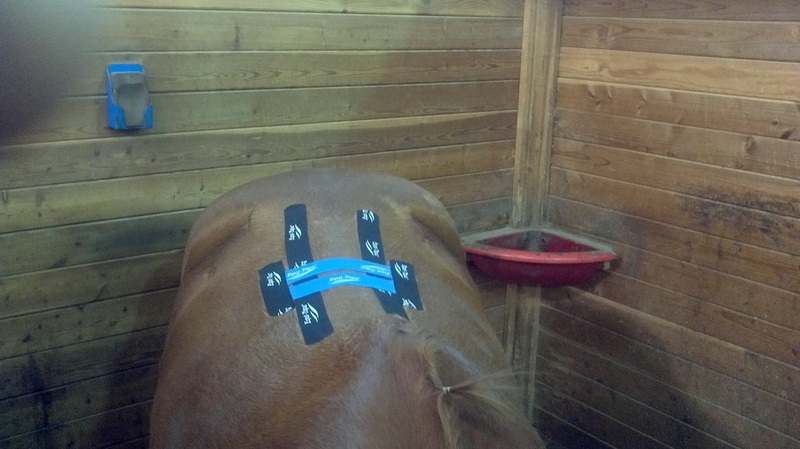 The tape can also be applied when the horse is recovering from an injury. 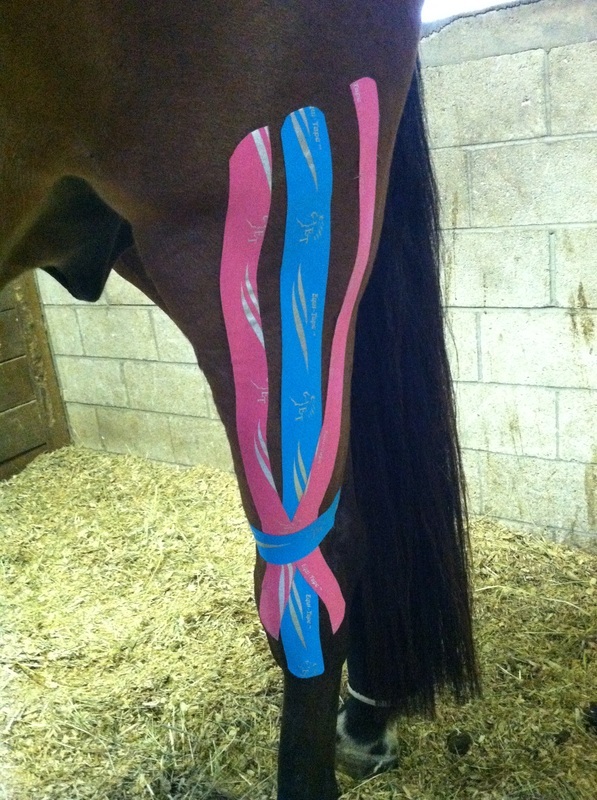 How Does Equi-Tape Elastic Kinesiology Tape For Horses Work? How is it Different From Other Tape or Wraps? 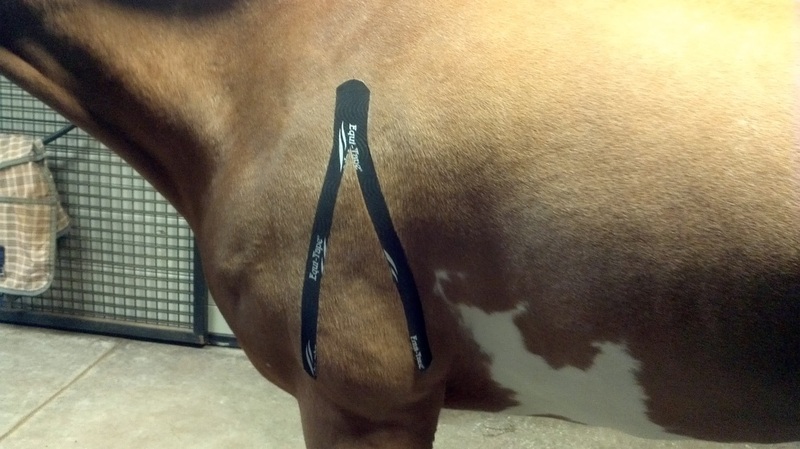 Kinesiology tape is very different from standing wraps, fleece wraps, first aid tape, vet wrap tape or other non-elastic tape or braces in several important ways. First, the tape stretches and is flexible. Therefore, it does not restrict range of motion, and at the same time, provides stability and support. The degree of stretch used when applying the tape and application pattern is of paramount importance in obtaining the desired results. 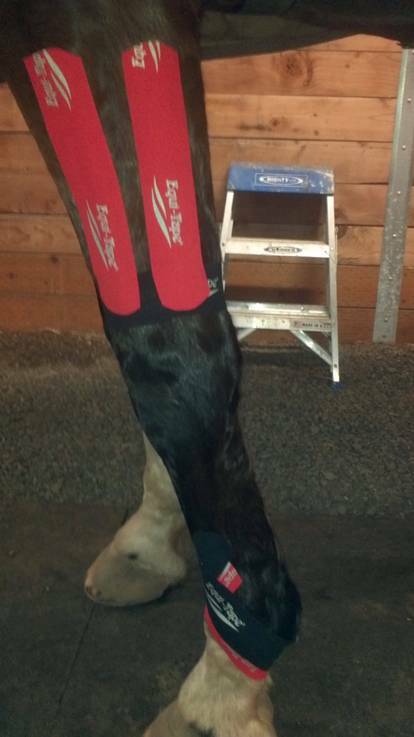 Consequently, a thorough assessment of the horse's needs and issues is critical. It is the foundation for successful tape application. Second, the tape interacts and lifts the skin thereby decompressing the tissue and enabling increased blood flow and oxygenation. Additionally, the lifting affect forms small convolutions in the skin thus increasing interstitial space and allowing for a decrease in inflammation of affected areas and facilitation of lymph drainage. The lifting of the skin and tissue decompression also impacts how pain receptors respond to messages from the brain associated with pain and swelling. This, in turn, helps to facilitate both the healing process in the case of injury and the recovery process in the case of training. 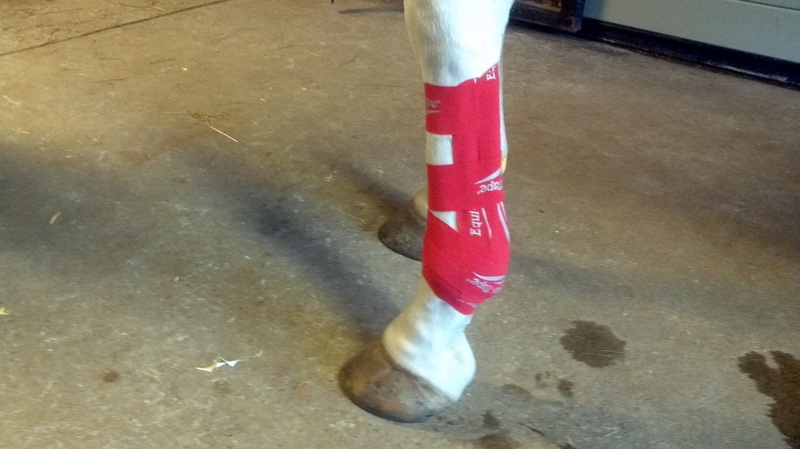 Standing wraps, fleece wraps and other types of first aid tape do not interact with the skin in this manner and do not offer the advantages of tissue decompression. Third, the tape also helps prolong the benefits of manual therapies because the tape helps to increase the stretch of the collagen fibers in the muscles. For additional images, check out Google images link.